Handbook of Landfill Safety | Blue Ridge Services, Inc. 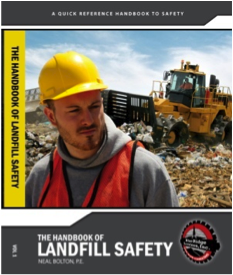 The Handbook of Landfill Safety is the industry’s only book on landfill safety, written by Neal Bolton, the industry's leading expert on landfill safety and the author of The Handbook of Landfill Operations. If your crew is tired of hearing about highway safety, underground mining and all the other topics that really don’t have anything to do with landfills, this is your book. 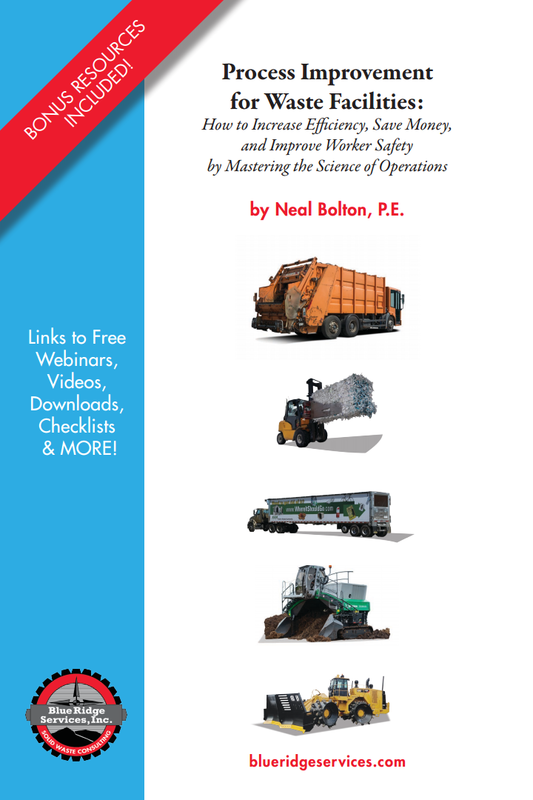 Based on the same concept as our safety video program – that safety training should be practical and applicable – this book contains detailed information on over 50 safety topics geared specifically to landfill operations. It also contains dozens of “This Really Happened,” stories – a collection of real-life, landfill scenarios that range from near misses to fatal accidents. There is also a section on how to develop your own emergency response plan. We’ve spent decades learning about landfill operations and have put much of what we’ve learned into these books. Take advantage of our experience …and start reading today. Landfill safety is serious business. Across the country and throughout the world, landfill workers handle our waste and protect our environment in some of the harshest work conditions imaginable. Help keep your workers safe with the industry’s most complete reference on landfill safety. The Handbook of Landfill Safety contains information on over 50 safety topics developed specifically for landfill workers. With over 350 pages of detailed reference and actual, real-life scenarios, this book can help put some muscle into your safety program.